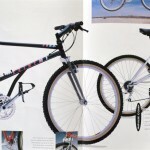 I’ve been mountain biking since the start of the 1990s, and have been through a lot of bikes in the intervening years. As the title suggests, I love to ride vintage / retro mountain bikes – I find them the most fun to ride – even though I have to admit modern bikes are technologically better – if you like that sort of thing and have the money to be so self indulgent. I’ve ridden bikes of one kind or another since time immemorial, ranging from BMX, to racing, and finally to mountain bikes. Growing up in the 80s and 90s in a Devonshire suburb, I was in the right place, with the right friends, at the right time to get into mountain biking in a big way. With the barren yet beautiful wilderness of Dartmoor, along with the nearby trails of Plymbridge and Cann Woods, lying mere mile the family home, much of my leisure time during the early to mid 90s was spent clawing my way up lung-bursting hills, winding through sweet single-track, or hammering down gnarly descents on my trusty Raleigh titanium, with my riding buddies. 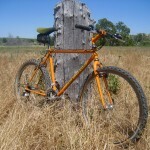 Somehow, my taste in mountain bikes is frozen from those times. University, then emigration to the colonies beckoned, at which point the previously confluent circumstances of friends, suitable terrain, and money diverged, and I lost all touch with the continuing march of the fashions and technological advances in this sport. Returning to Europe in 2011, my interest and passion for mountain bike awoke from its deep slumber, and there occurred a major, and I mean MAJOR, culture shock. 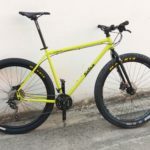 It was a while before I realized that what I first thought were downhill bikes, with their wide bars and long travel suspension forks, are in fact modern cross-country-oriented mountain bikes! 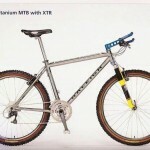 Whatever happened to steel as a frame material? Where are the rigid forks? The V-brakes? 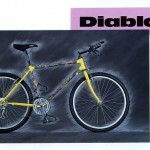 Why do modern bikes all seem to have an identical paint job? And What’s with those giant wheels? 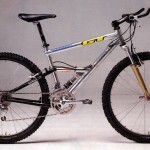 This blog is dedicated to discussion and remembrance of retro and vintage mountain bikes – sometimes serious, sometimes tongue in cheek – and discussion of modern mountain bikes, but from the perspective of a time traveler from the 1990s. ………NO . I’M VINTAGE STEEL RIDER !!!! 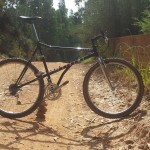 when I roll up my mountains with single speed , steel lugged steed , with drop bars and inner tubes . You get it ! 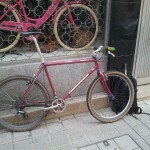 Hi, I have an old MTB by Look, I know nothing about the bits on it but the forks are “Ritchey Logic” the wheel are “sun Chinook” and the gears are “deore dx”. All a bit old and tatty but wondered if you know of anyone who buys that age of bike? Hi Matthew, thanks for your message. It sounds like you have a quality vintage MTB there. 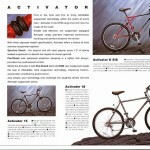 My first suggestion is to head over to ‘retrobike’ and post a for sale advert here: http://www.retrobike.co.uk/forum/viewforum.php?f=2. 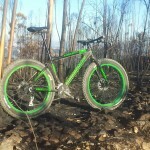 Without having seen the bike and without knowing the condition of the parts, I would guess it could be worth between 50 to 150 pounds. 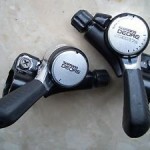 You can also ask for a valuation here: http://www.retrobike.co.uk/forum/viewforum.php?f=78 . In any case, you’d need to take a few photos of the bike to show people on the forum. Good luck! 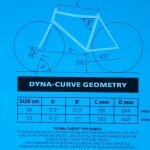 What are your thoughts on bonded frames,( safety and longevity in particular)? 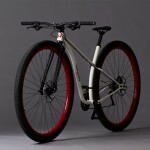 I ride a raleigh technium mt500 ( steel rear triangle and seat tube bonded to aluminum top and down tube ) and a all aluminum bonded mongoose iboc comp. I own several of the British made bonded frames, and have never experienced a failure, despite all of them being more than 20 years old. 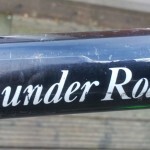 Back in the 1990s, a friend of mine did experience debonding of the down tube from the bottom bracket lug, but it wasn’t dangerous, the frame held together albeit with a new slingshot style suspension. He used to do a lot of jumps, which may help explain the failure. First of all thanks for writing this great journal, I am really enjoying the posts. 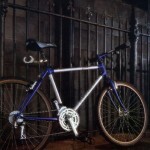 Secondly, do you know any vintage bikes that had a steel frame with hydraulic disc brakes and non suspension forks?